Help friends that may need a free resume by e-mailing them this page. They will appreciate you thinking of them and pay it forward some day. Just takes a moment using our button below. Check the many ways you can use this great tool. The functional resume format will be great for you to use if you have little job experience. For instance, if you just got out of school. Showing all of your skills is what this resume will define to your new employer. 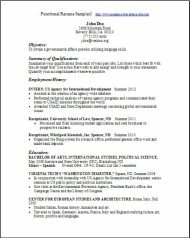 This resume helps present your skills and abilities you have taken a great deal of time to achieve through schooling you have completed. The employer sees that you have certified skills of expertise. Accomplished skills you have studied for, will sometimes overtake the experienced candidates in a job selection process by the employer. 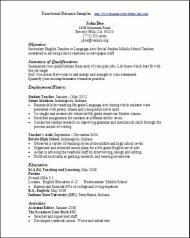 A person who has recently graduated will benefit by using these functional resume examples format. Even though you have no experience, the employer will see you are specifically trained with great knowledge to start this position the employer is offering. Create this resume showcasing your learned skills and expertise on the job you are applying for. We have 3 samples you need to work with, while you are creating your own personal resume. These examples or samples are exactly what you need to use as a guide for what your own finished product should look like after editing the template yourself with your own personal information. You are giving yourself a great head start by using a template above. 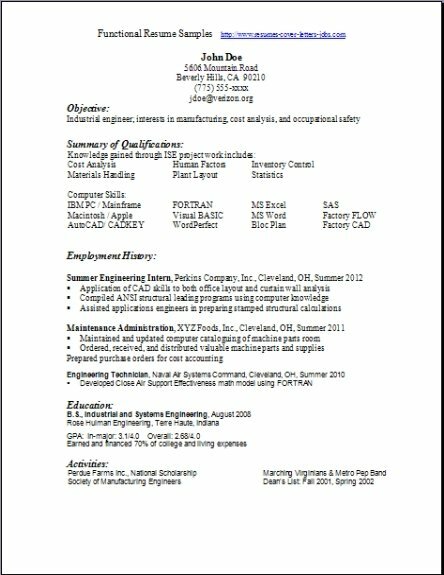 Once all your hard work is completed editing these resumes, go get more great information on the other pages of this website. 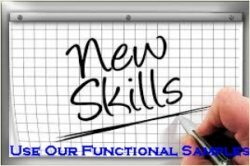 The functional templates above will help you add to your arsenal of personal resumes you have collected along the way. Well good luck and good job hunting.